I know this is a double post but, GUEST FROM FRANCE IS ON!!!!! Lunatia 1st post:well okay, You do that while I just stay on this site waiting for you. Lunatia:2 post:come on Guest! Join us or just please sign in guestbook, or play a take it or leave it game with us! EDIT:Aww...He/She has left us....or maybe He/She is going to her/his email account to join us! i hope he/she come and see this topic...! Yes. It would be nice if that guest would see us. Your first banner? Well The one I showed you up there was my first banner too. Its not terrible so your shouldn't be that bad too. whoa...really big. oh well. Let me advertise it. looks kinda weird doesnt it? erm....wat do you think..? ?the banner..?? No...its goood but....BIG. Well I did one advertisement. More to come! Yay...where did u advertise it..??newharvest?? Nope not NewHarvest. 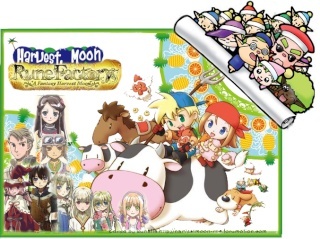 I did it at "The Great Harvest Moon RPG" but that site is dead...like 2006 is the last post from non guest. But I guess I should do New Harvest Next. can i have the link...?? I guess its better now. Oh yeah. I messed up there. Thats why I had to do a double post. Well okay Next advertisement, NewHarvest! Second Advertisement done! This time I didn't mess up! the 2nd one is in ...new harvest? Yup for the newharvest thing. 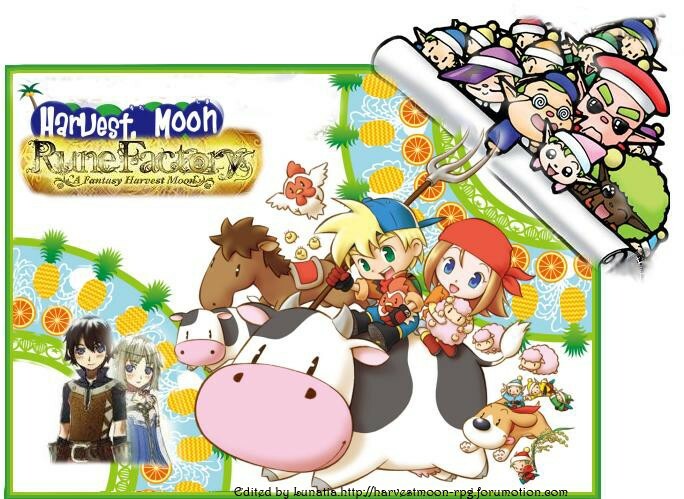 I can't really find any other Harvest Moon RPG forums, but must not give up! the rest harvest moon site is Jason's, Sam's, Maggie's,etc. and i did put some advirtisment there.. I found this site called Harvest Moon meadow..but its kinda of confusing where do you put the advertisements...I don't think you can put anythere but im looking. I tried doing that....not pretty...I got yelled at. Well a long time ago not now. cannot use this and that.. Yeah...I found sites that you can advertise but you must join first...I want to be a guest!